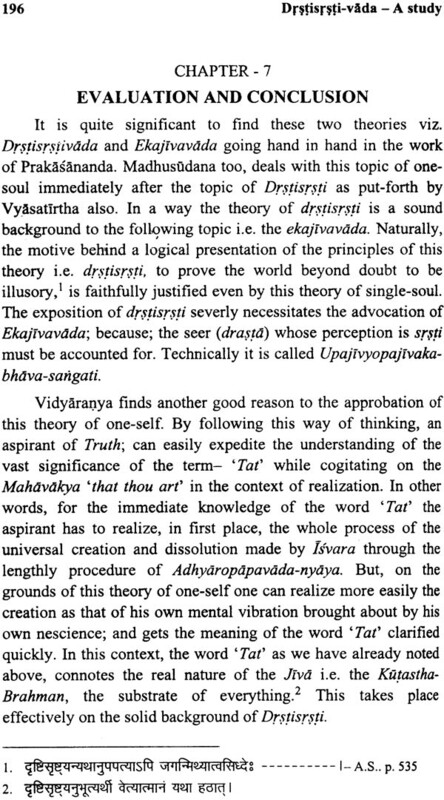 The theory of Drstisrsti, though it seems to be a tiny one, is a tough problem in the Advaita-vedanta. 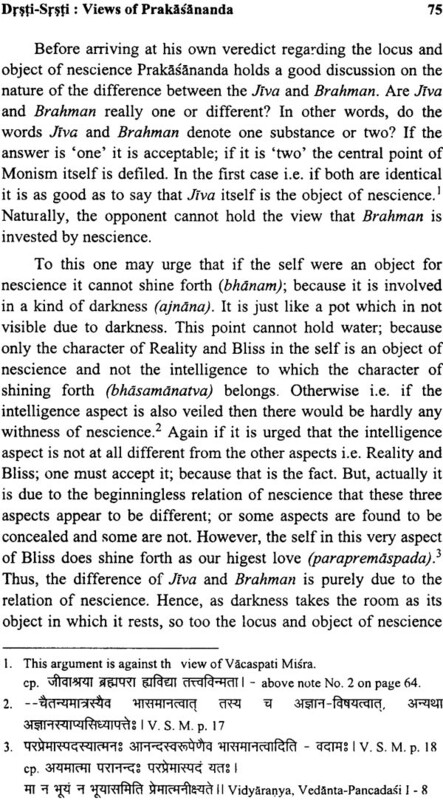 This is associated with the name Prakasananda to that extent that he himself is considered to be the father of this theory. 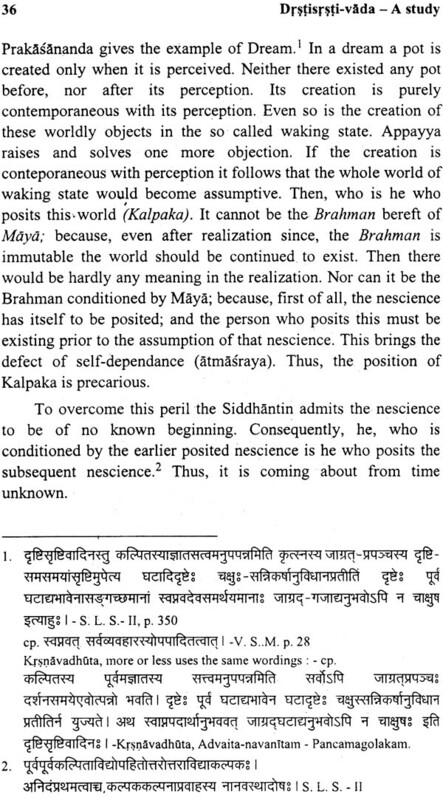 Infact he is both the father and mother to this; yet the germinating points of this theory are pretty old as they can be traced in the Yogavasistha, Brahma-siddhi and ista-siddhi. It is Prakasananda, a master mind who elevated this theory to the stage of a school, and brought glory to it by his monumental contribution. 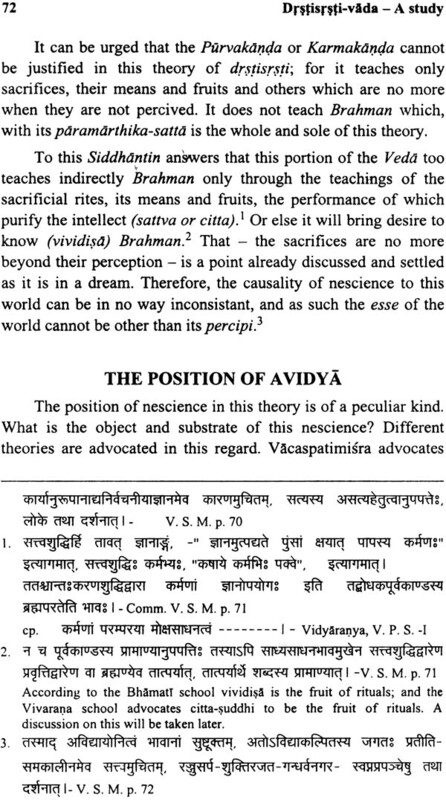 Vidyaranya, Madhusudana, Nana Diksita and a few other members form a good team that stands back this theory. An humble attempt of evaluation of what all these savants have contributed to this school is exerted here. Dr. Joshi has been teaching Sanskrit and Prakrit at the karnatak Arts College. Dharwad since 28 years. He has been enriching the field of literary by his good many research articles (more than 95) and many books in Sanskrit, English and Kannada. He has attended more than 55 National Seminars, Conferences and Pandita-Pariadas. He has secured 3 prizes viz. Munipunyavijayaji Prize, Dr. D.K. 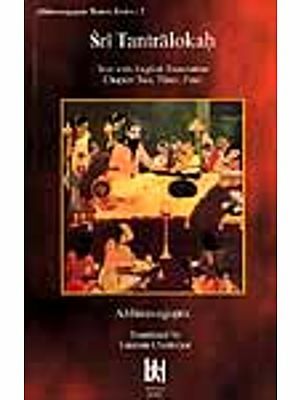 Jain research institute prize and Dr. V. Raghavan Prize in the All India Oriental Conferences held at Calcutta (1986) Rohtak (1992) and Jadhavpur, Calcutta (1996) for his three research articles in Prakrit and Sanskrit subjects. He was also honoredby the Vedavyasa Puraskara of the Brahmacaryasrama of Shekhavati of Bhavani (Haryana) forsecuring III Rank in the National Sanskrit essay competition (2000). He has secured VI Rank in the All India One Act Play competition in Sanskrit (2004) at Delhi Sanskrit Academy. Undergoing the training in the Staunch methods of Sanskrit learning given by Brahmasri Bhalacandrasastri at Sri Sankaracarya Samskrta Pathasala, Dr. Joshi bagged at Phatake Gold Medal in Vedanta. Going through the four examinations in Hindi viz. Prathama, Madhyama, Rastrabhasa and Pravesika, he passed the Sanskrit examinations viz. Kovida (=B.A) and Kavya Chudamani (=M.A). He completed his M.A. in 1972. He did not put any stoppage to his research work even after securing the first Ph.D. on “Vidyaranya’s Contribution to Advaita” but continued his reseach even to gain the second Ph.D. candidates, he has served the P.G.Dept. of Sanskrit &amp;amp;amp;amp;amp;amp;amp;amp;amp; Prakrit, Karnatak University as a guest Lecturer. He has many one-act plays and poems in Sanskrit to his credit and has given many programmes in the A.I.R and T.V. His contribution to the field f Sanskrit is highly commendable. 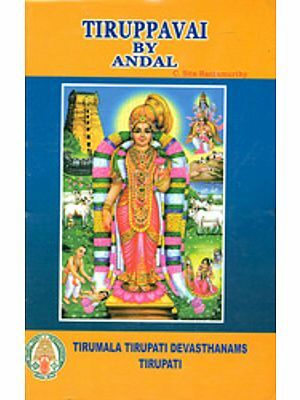 The force of influence of Gaudapada’s Ajata-vada was so explict in the cerses of Yogavasistha that we feel as if we are reading some pleasing poems on the Ajata-vada. 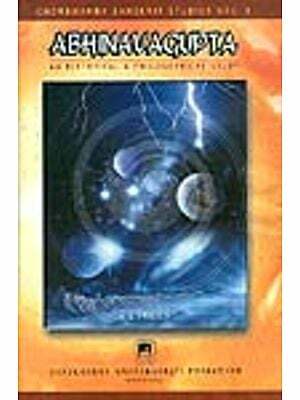 That the world is not at all created [Ajata] is a repeat point found in many a chapter of this book. 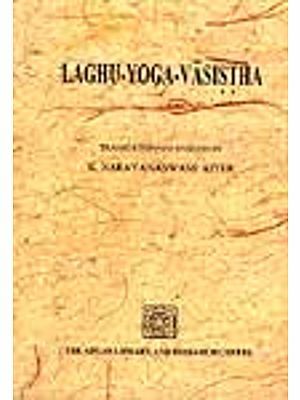 From the Ajatavada the thesis of Yogavasistha was as if developed to the so called next step wherein everything was as if developed to the so called next step wherein everything in the world is nothing more than the vibration of mind (spanda). 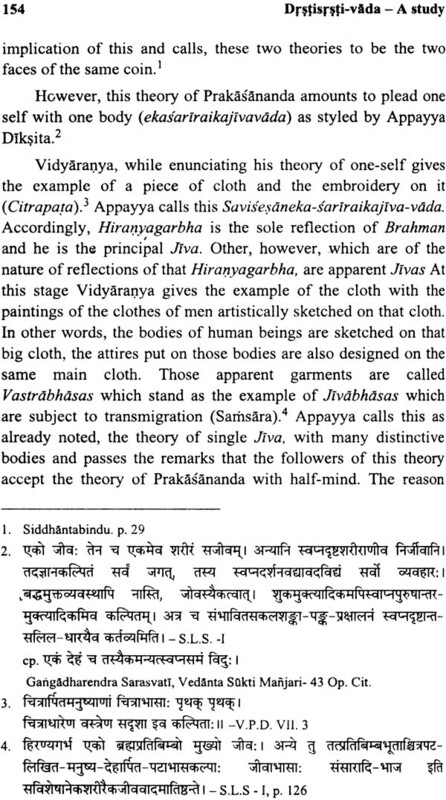 In other words, creation starts through spanda, which is called spanda –srsti; from which the citta emerges first. It is from manas that all creation and destruction from cycle to cycle take their start. Mind is the root of all creations. “Whatever is done by manas is done and what is not done by it is not done”. 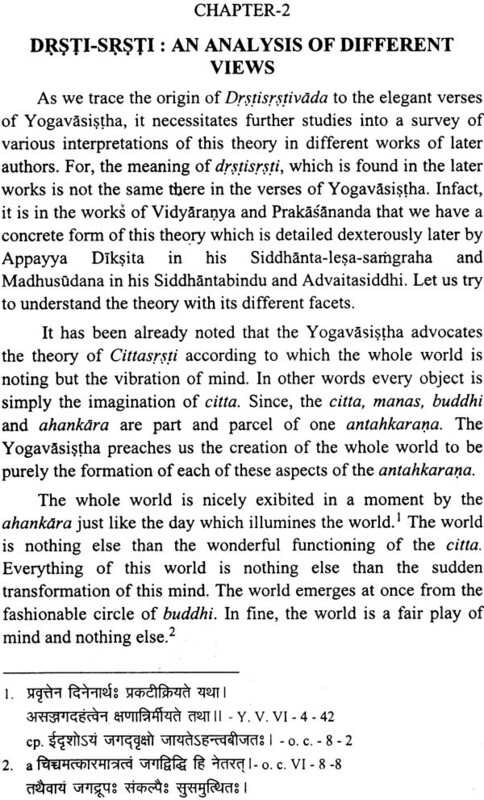 Thus the Yogavasistha is never tired of illustrating its central point that everything is but a mental creation, or all the so called worldly objects are empty dream construction of the manas. The cittasrsti is also called bhava-srsti or bhavana-srsti. These are the germinating elements which supplied richly the clues to evolve the theory of esse in percipi (drstisrsti). If the worldly objects are merely the mental vibrations what about our senses which play vital role in the process of perceiving an object. No justification is given, in this theory, to them with which we experience perceptions. 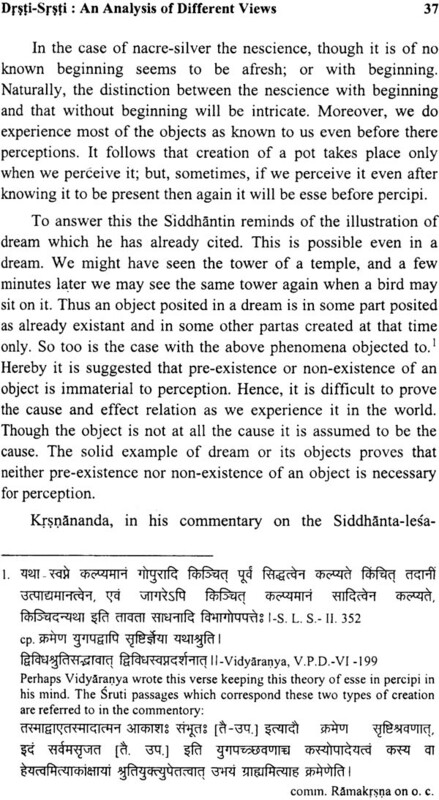 Hence, one more this theory of drstisrsti as the creation simultaneous to perception (drstisamakalina-srstih). 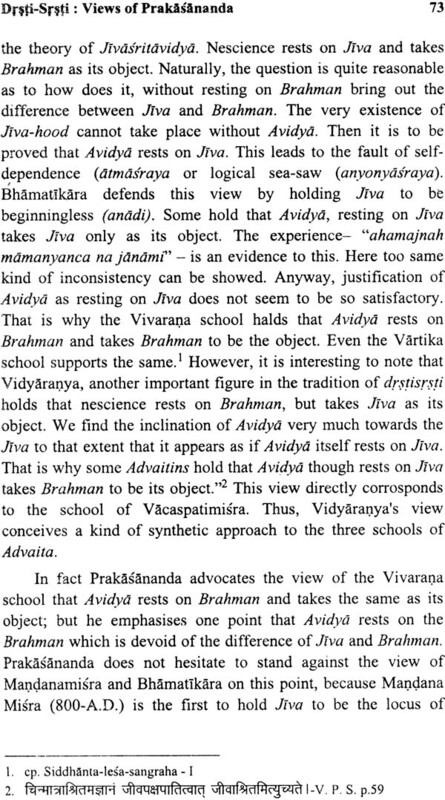 In point of fact that the Yogavasistha itself makes use of this term drstisrsti in he context where avidya is said to have taken the form of all the gross elements like earth, wind, fire, etc. through drstisrsti. In other words due to the fruit of karma of Jiva the corresponding worldly objected are created as and when the process of perception starts. 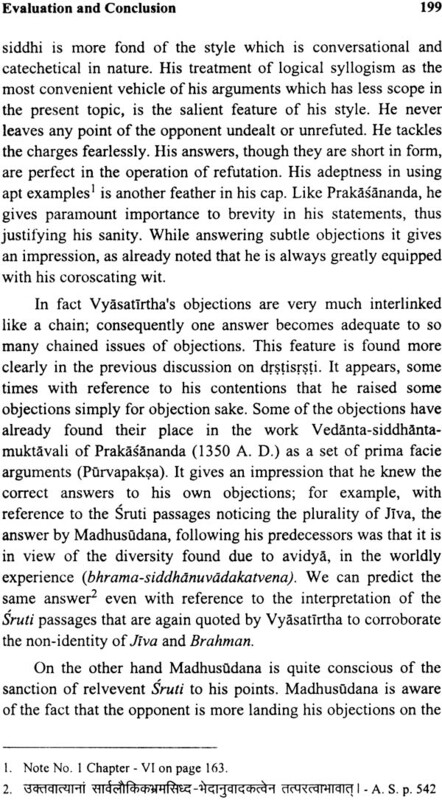 This interpretation of Drstisrsti is not so explicit in the verse of Yogavasistha referred to above. 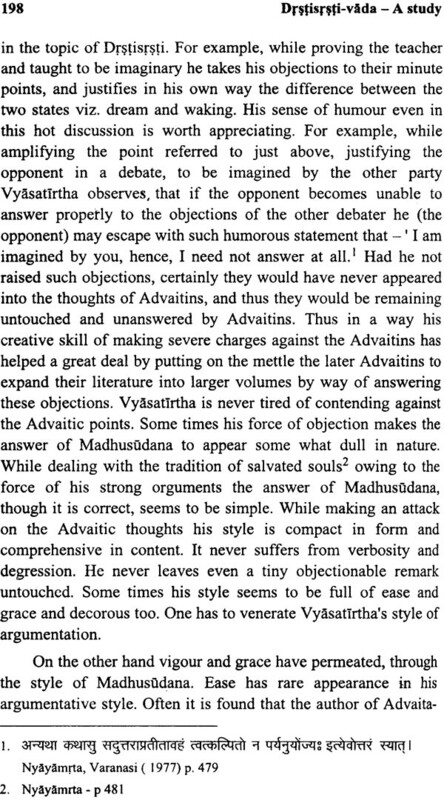 Anyway, the term Drstisrsti appeared for the first time, perhaps in the history of Vedanta, in this verse. The term Drstisrsti when interpreted as creation contemporaneous with perception may mean that the creation is different from the perception. 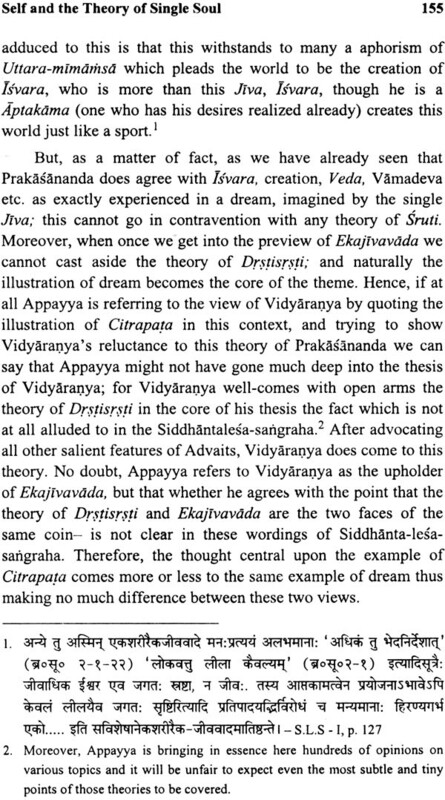 Since there is no adequate evidence to rove this distinction of creation and perception, Vidyaranya going one more step ahead announce that the perception itself is creation. 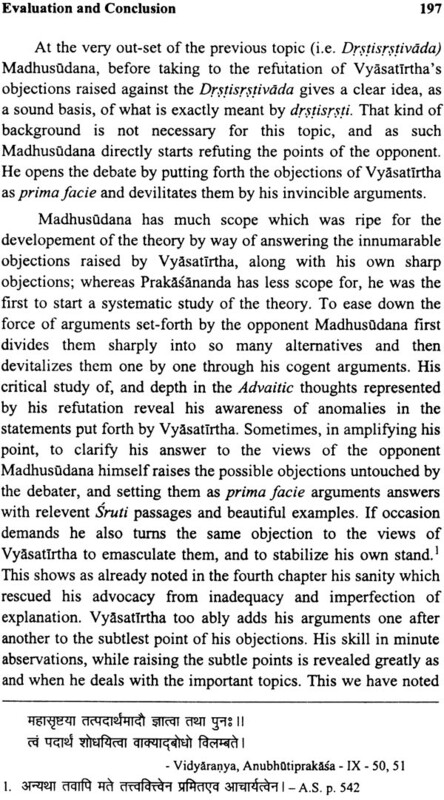 Prakasananda too advocates both the types of Drstisrsti Though it does not seem to make much difference between these two, Prakasananda notices the subtle distinction, and formulates the view in which the existence of the subjects is contemporaneous with their perception as –esse is perecipi.